There are a few ways to create templates and packages in Portal. While the ability to create defined packages is on our roadmap, you can always create multiple proposals and keep them in Drafts. 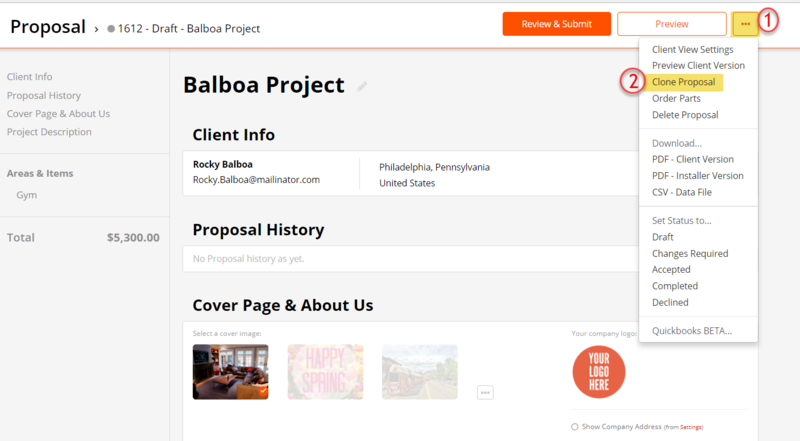 When you need to use one as a template for a new customer, you can clone it by clicking Clone Proposal under the Options menu in the top left corner of the proposal page. You can also copy an entire room to another proposal. By doing that, you can create a template proposal with different packages as "rooms" and copy them into a new or existing proposal. To do that, hover over the menu icon in the room you want to copy and select Copy Room to Proposal. You can then choose or create the proposal where you'd like to copy the room.